Rich and successful, a dashing young musical superstar so adored that women faint when they meet him in the street, Franz Liszt is restless. He knows that something is missing in his glamorous life as the world's greatest concert pianists. He meets Josy, a naturally gifted young Gypsy street musician, and subsequently wagers that he can turn Josy into a world-class musician. The bet turns into a mighty struggle of wills - the worldly sophisticate against the resourceful Gypsy boy and a conflict of freedom vs. discipline, heart vs. brain, passion vs. technique. 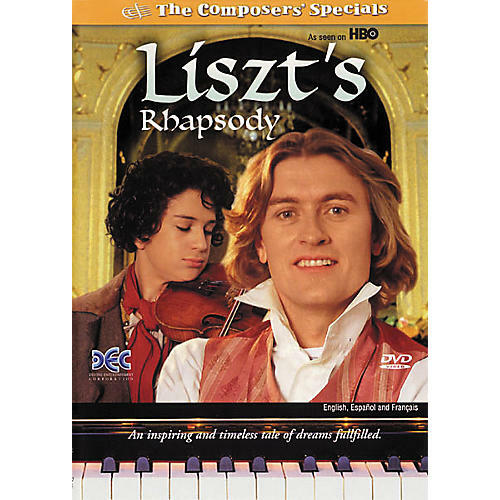 Set in 1846, Liszt's Rhapsody celebrates the miracle of talent and the triumph of dreams fulfilled. 49 minutes.